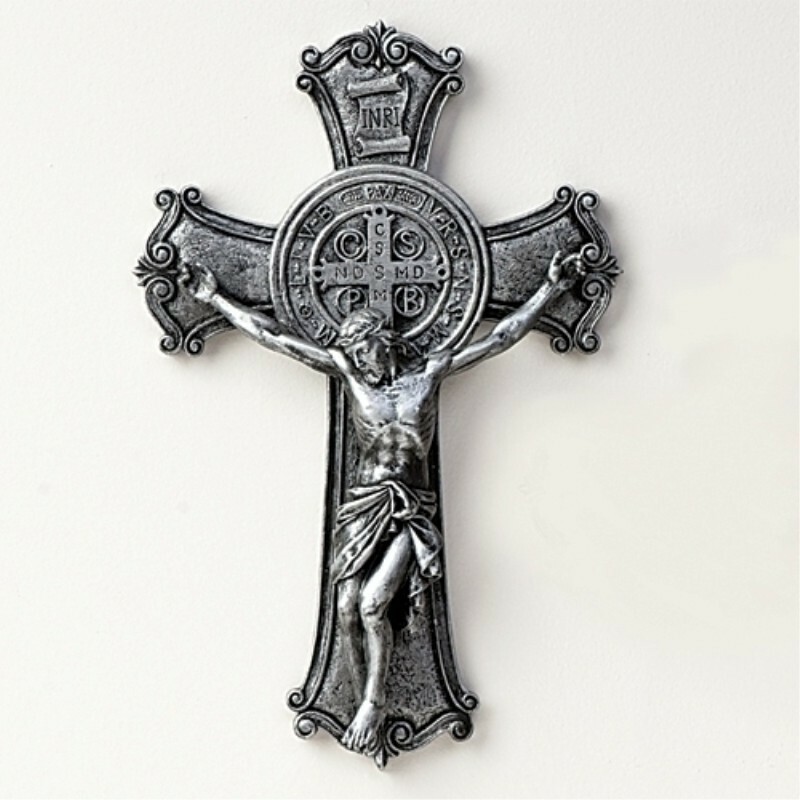 St. Benedict wall crucifix from The Joseph's Studio Renaissance Collection is richly detailed and has a silver finish. Crafted from a resin-stone mix. Includes box.